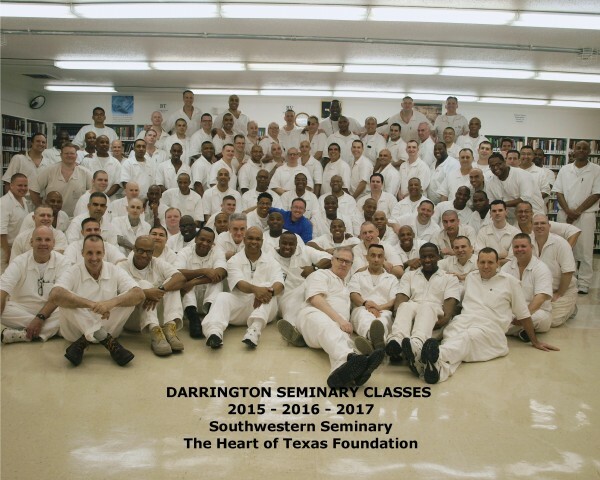 The Southwestern Seminary at Darrington Penitentiary — the engine for new changes in the Texas prison culture. ~View the Fox 26 Special News Story of the Southwestern Seminary at Darrington, the historic fully-accredited (SACS) Seminary provided through an historic partnership between the Southwestern Baptist Theological Seminary, and The Heart of Texas Foundation. The Darrington Seminary is privately funded by The Heart of Texas Foundation donors. Will you become a Sustaining Partner? We need you now more than ever. 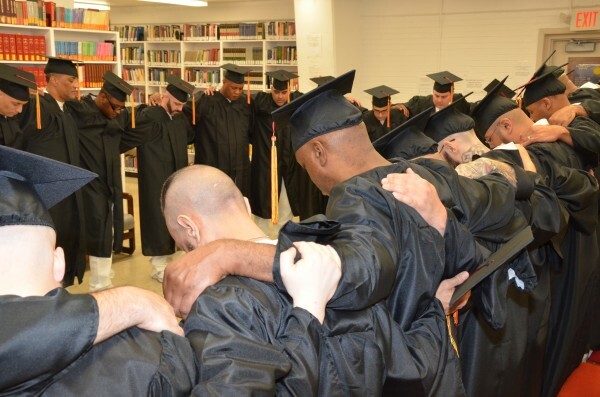 Help us put seminary graduates (Field Ministers) into all of the Texas men’s prisons over the next seven years. Help us create a women’s seminary, like our SW seminary at Darrington, for Texas female inmates. Help us train Field Ministers to be certified to teach literacy skills to their peers who are illiterate and semi-literate. If you wish to have us set your monthly contributions up manually, we are happy to do that as well. Please call us at 281-850-8103 and we will set this up with our Paypal Pro account. PayPal is our secure gateway to help us process your contribution. If you use the DONATE button below, you may use your own credit card, or your own PayPal account as well. Thank you so much. No matter how small, every gift matters. We are an IRS-approved 501(c)(3) non-profit organization. You may email us at info@heartoftexasfoundation.org. Or, write us at: The Heart of Texas Foundation, POB 110, Bellville, Texas 77418. The first three cohorts in the historic Darrington Seminary, Rosharon, Texas. Funded by The Heart of Texas Foundation donors and supporters. The Darrington Penitentiary Seminary, an extension campus of The Southwestern Baptist Theological Seminary, is privately funded by The Heart of Texas Foundation donors. This picture was taken right after Governor Rick Perry’s historic visit to the Seminary in July of 2012, where he visited with the men, shared his heart with them, and encouraged them to persevere in their studies and their desires to give back “betterness instead of bitterness” and to serve out their long-term sentences in service to others as Field Ministers in prisons throughout Texas. The Heart of Texas Foundation, Inc.